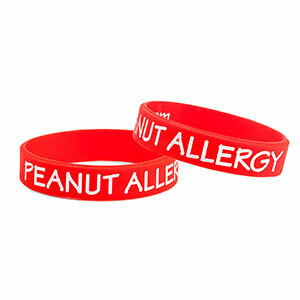 These bright red wristbands with white recessed lettering are eye-catching, ensuring maximum visibility. They're comfortable, durable, water-proof, and stretch for easy on and off. Set includes 3 bracelets. Bracelets fit wrist sizes 5 to 5.5 inches.